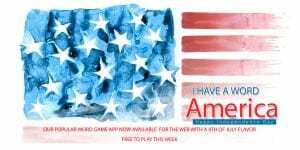 Free to play the week of the 4th of July – Just register at games.dig-itgames.com and it will automatically be in your library. For those who are already registered, just login and you will see it in your library. Our most popular word puzzle game I Have A Word has been available on the Apple iTunes store since last year. 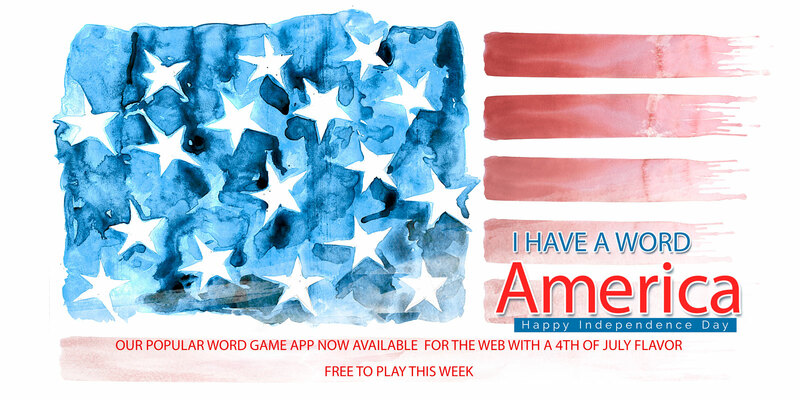 To celebrate the 240th birthday of the United States we created a web version of this deductive thinking game with a 4th of July flavor. A great game to play with the family on a road trip or lying on a blanket waiting for the fireworks.